Is your garage a black hole for all the random items you're not sure where to put anywhere else or think you might need one day? The extra blender, vacuum attachments or ice skates all get tossed in your garage until one day you realize you can't find anything or even park your car inside. It's time to organize your belongings, reduce clutter, create a suitable work space and boost your garage's efficiency. 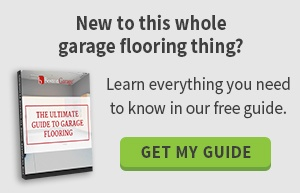 Whether it's brand new or 40 years old, take a few minutes to assess your garage. If it's susceptible to flooding, plan to install a drain or apply sealant. Repair any cracks that allow insects and rodents to get in. You should also plan to remove hazard or unsanitary items like paint, pet food and propane. These issues and other negative conditions must be addressed as you create a space that protects and organizes your belongings and is safe for your family. 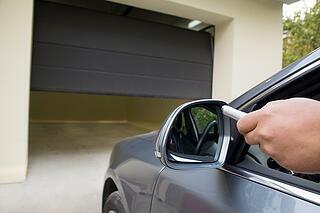 The ultimate purpose of most garages is to park your vehicle inside and out of the weather. Before you tackle organization, measure your garage's dimensions and mark out space for your vehicle. That way, you can organize around the vehicle instead of trying to fit it in as an afterthought. It's easy to toss landscaping tools and sports gear onto the floor of your garage, but they clutter the space and can become safety hazards. A cluttered floor is also ugly and embarrassing. Consider the possibility of alternative storage options as you prepare to organize your garage. Wall-mounted storage units and overhead storage racks are two garage storage solutions that store bulky or seasonal items like skis, gardening tools or snow shovels or sort high school memento boxes, bins of tools and cleaning supply bottles. With everything in its place, your garage is organized and in its place, making things quicker and easier to find. Custom garage cabinets and shelving provide are additional options that organize and sort your belongings. Install cabinets to store items that you want to protect from dirt or dust, including power tools, roller blades and painting supplies. Open shelving options are perfect for items you need to access easily, such as buckets of screwdrivers, bins of hammers or kids' toys like balls and bats. Your garage can go from cluttered mess to organized space thanks to these steps. Boston Garage can also help. We protect your floors, customize your storage and walk you through the process of creating an efficient garage you'll use and love. Contact us today.